There are a lot of financial gurus out there who claim to know everything. They advise you to do this and that, and of course, we believe them. But aside from these “financial gurus” the worst financial advice we sometimes take is from well, mom and dad, friends who are actually broke, and even salespeople in the mall. 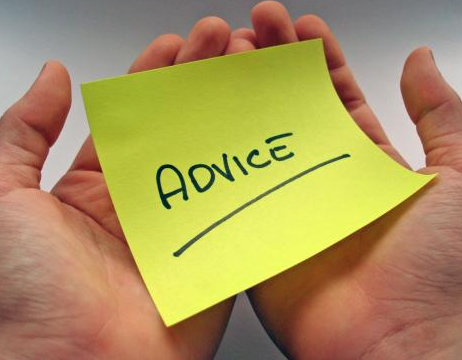 Remember, there is such a thing as good advice, and bad advice. So when you see these tips below, unleash that rebellious spirit in you and don’t listen! 1. Cut up your credit cards! – This is probably one of the most common “remedies” that some financial gurus go out and proclaim for consumers to quit getting themselves into credit card debt. But seriously, will cutting up your credit cards erase that mountain of a loan you just took? The answer is no. So there really is no sense in cutting up credit cards. The best remedy is to establish a financial plan on how you can pay off your credit card debts, and diligently follow it. Then if you have more cards than you need, go to your bank and cancel the card. Simple. 2. Find a Stable Job That Gives Good Benefits! – This is definitely the advise that comes from mom and dad. Ever since kids learn how to read and write, mom and dad are educating them to be good employees. For parents, this is the best advice they could ever give, but finding a stable job with good benefits just isn’t enough anymore. Parents should teach their children to be more financially wise. That doesn’t mean that getting a job is bad, it only means that children should expand their financial potential by investing, taking calculated risks in business, and achieving financial freedom. Admittedly, this is difficult to do if you’re an employee. 3. There’s no need to look at the numbers, the property says it all! – This advice goes to inexperienced real estate investors who think they have a good deal just by looking at the property. Sometimes, unethical (or ignorant) real estate agents can urge you to buy a property off the bat resulting in bad investments or negative cashflow. When it comes to investing, it’s always about the numbers. There is so much bad advise circulating the financial world that some of us get duped in believing them. 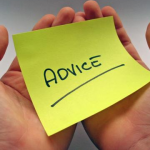 The general rule of thumb is to accept advise only from successful people (not the ones who are broke!) and learn to throw caution to the wind when following advise from people you don’t really know.